MySpace has revealed that it accidentally lost every piece of music uploaded to its servers between 2003 and 2015. 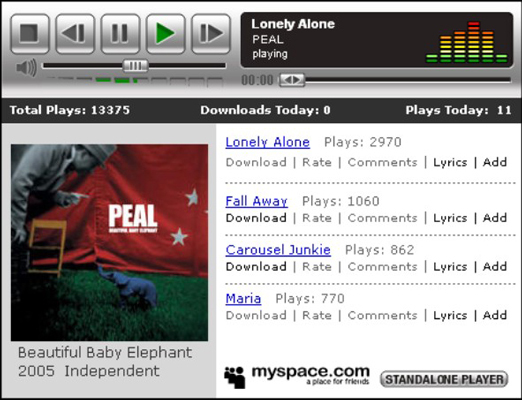 The once dominant online community was a massive force in music for almost a decade, with the simple task of getting on to the MySpace home page helping launch everyone from Arctic Monkeys to Kate Nash. Sadly, it seems that a server migration issue has caused every piece of music uploaded between 2003 and 2015 to fall into the digital cracks. That's a lot of music: in all, more than 50 million songs from 14 million artists has been wiped from the web.